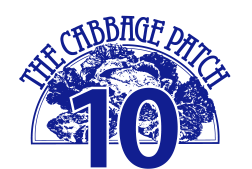 Cabbage Patch 10 (2017) is nearly here: Sunday 15 October 2017. I’m dusting off my racing flats for another crack at the Cabbage Patch 10 mile race (link to: cabbagepatch10.com)in Twickenham in a few weeks. As usual it sold out ages ago. And I think I am right in saying that, as usual, the winner genuinely gets a cabbage. It’s a great run and I regularly use quite a few sections of that course for my GPS Test Route for running watches. As well as being ‘GPS-challenging’, in places, the route is also very beautiful in places. The course, however, is NOT challenging. It’s pretty much flat and fast. Hence it’s a great course to get your 10 mile PB/PR at. But, let’s face it, the choice of 10 mile events IS somewhat limited ;-). Mo Farah has certainly won the event and may hold the course record (edit: nope Richard Nerukar, 46 mins …ouch) and each year there is usually ‘someone famous in running circles‘ running it, be that PSH or Scott Overall. Caitlin Limmer, the Race Director Cabbage Patch 10 has asked me to plug her charity which is in need of some urgent inflows of our hard-earned cash. She is also the patron of MDS Patient Support Group (Myelodysplastic Syndromes are blood disorders, link to: mdspatientsupport.org.uk). You can read all about it at that link or just donate via the Virgin Money GIVING image on the right. It’s a good cause. September 30, 2017 in Running. ← TomTom Announces Redundancies – And a new Garmin next week?